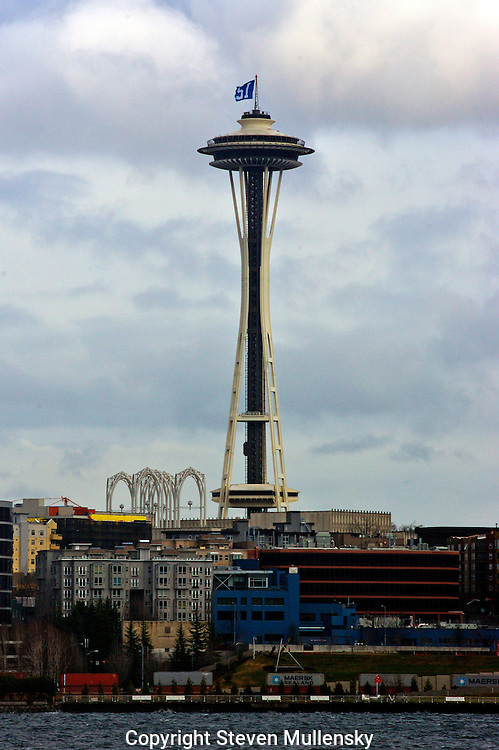 The 12th Man flag flies over the Seattle Space Needle in downtown Seattle. The flag represents the extra dimension that loyal fans play in the success of their team. This flag is flown in support of the Seattle Seahawks football team.